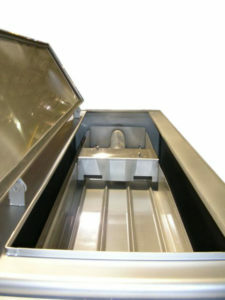 Falling film chillers are often included in our wash systems to provide 34 degree wash water. 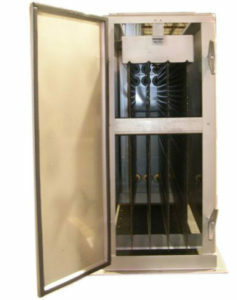 This in combination with the sanitizer controls the bacterial and pathogen count. The water flows across the cooling plates in a thin film for efficient thermal transfer. 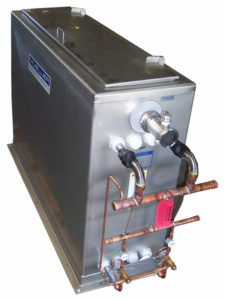 The chiller can be controlled by the wash system panel and temperature settings are displayed and changed on the wash system HMI.